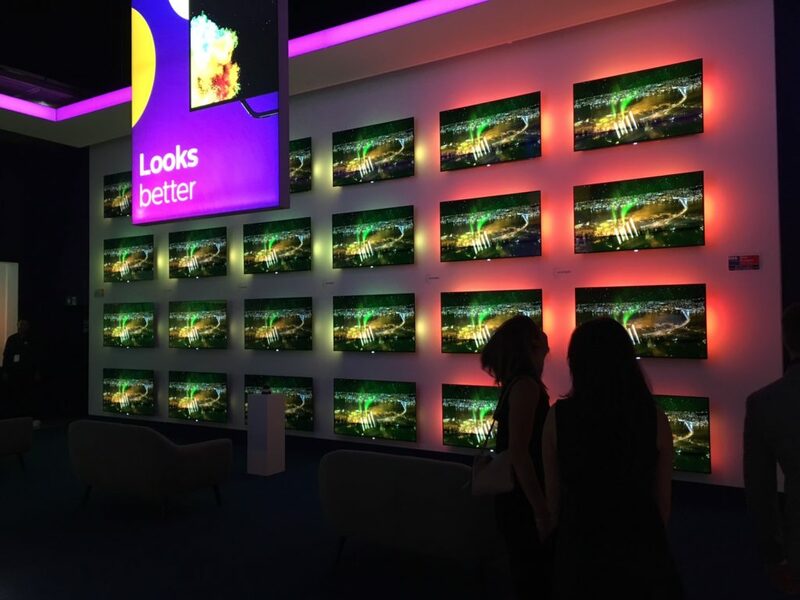 We’re proud to say our work is currently being displayed on 200 HDR Philips TVs in Berlin at the trade electronics show IFA. The project is one we shot back in November where we set out to capture the northern lights in Northern Norway. The result of months of tweaking and grading in the HDR format is now on display for all to see. HDR stands for High Dynamic Range and is a new technology allowing the next generation of TV to show images more like they look in the real world with more dynamic rage between black and white. As this is such new technology we had to invent new workflows and customise software to allow us to produce files in the new H265 format. This is something that in a year or so will be easily done with normal compression software but at the moment is a real challenge but one that we relish.